Meet the Hosts of Strong Woman Radio! Eat Like a Dinosaur: Sample Pages & Video Preview! 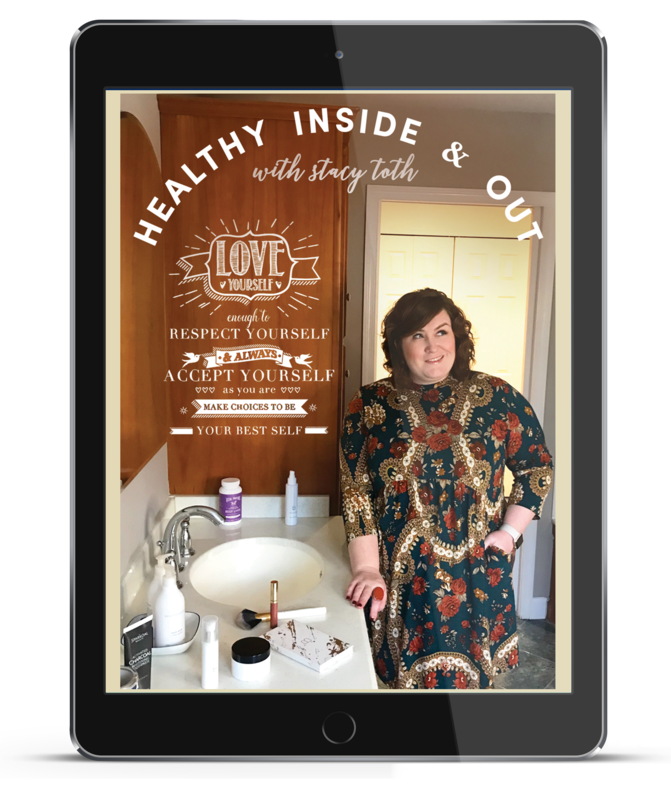 Sign Up For Our Healthy Inside & Out Mailing List! 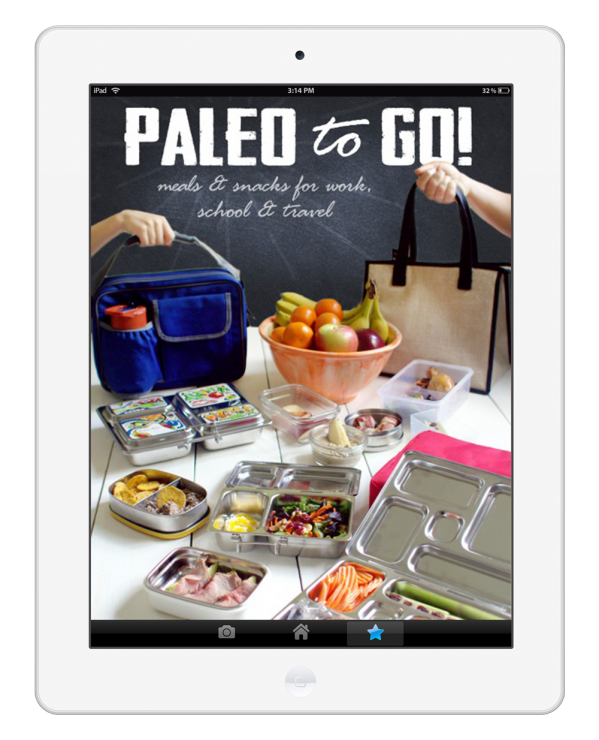 Paleo To Go: Meals & Snacks for Work, School & Travel eBook is here! And to celebrate we’re offering 25% off the price of both of our eBooks if you buy them together (click here for the bundle)! Our guide to using the right kind of storage containers, WHAT’S ON THE OUTSIDE MATTERS, TOO! [author] [author_image timthumb=’on’]http://paleoparents.com/wp-content/uploads/2014/02/Stefani-square.jpg[/author_image] [author_info]The Paleo Parents have got the art of meeting paleo dieters’ needs down to a science. Smart, beautiful, practical, and tasty, Paleo to Go is the book I was waiting for to make eating paleo away from home not just a breeze, but a delight. This incredible e-book has been a vision of ours for years. Upon our entrance into the paleo scene in 2010, we have been asked countless times how we make it actually work. To us, as a busy family of 5, making it work often means eating on the go. We always eat healthy meals and we always eat dinner together as a family, but in the hustle and bustle out the door to school and work often means “grab and go” food for breakfast and lunch. When we travel we like to feel our best, which means continuing to make the best food choices we can. That’s why we’ve written Paleo To Go, to help all the busy folks who are eating on the go. Our mission, since the realization that eating real foods on the go isn’t easy, has been to offer people tools that we wished we’d had along the way! As you can imagine, over 4 years we’ve answered the question on just how to make paleo work on-the-go a myriad of ways –including several episodes of our podcast, video blogs, blog posts and more. This ebook combines all of that information and knowledge with recipes, lunch ideas and more for an allergen-friendly guide that would help people survive a busy day with real food. We’ve incorporated an allergen-friendly approach to Paleo To Go, similar to our approach in our bestselling printed book Eat Like a Dinosaur. Since so many schools are now going nut-free and many of our readers experience many food allergies or intolerance, we wanted to make a book that could accommodate everyone (well, as much as we could). 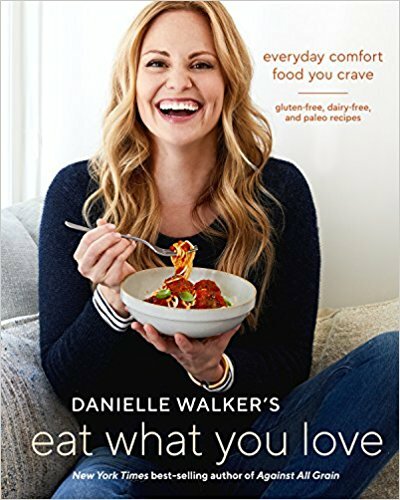 The book covers both how we recommend avoiding allergens, as well as our work-around recommendations for replacing common troublesome paleo ingredients (like almond flour and eggs). Each recipe includes a map to all of the allergens so that it’s easily identified is the recipe will work for you or your family! 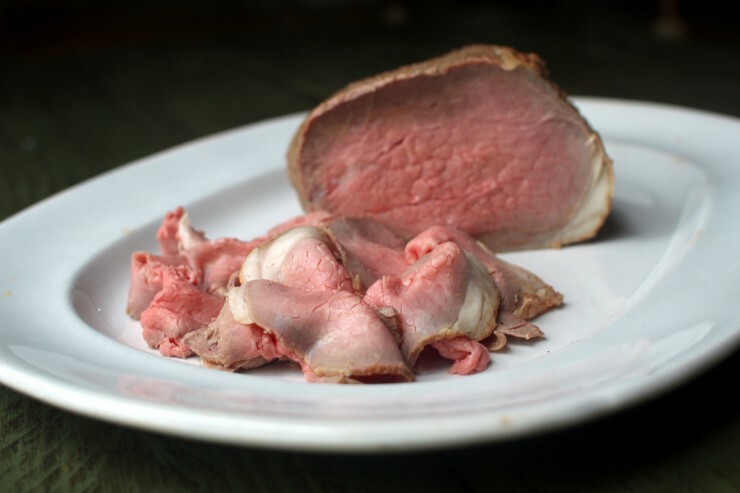 We’ve got over 50 recipes, including some of our fan favorites and many new recipes – like this Perfect Roast Beef (not) Deli Meat! 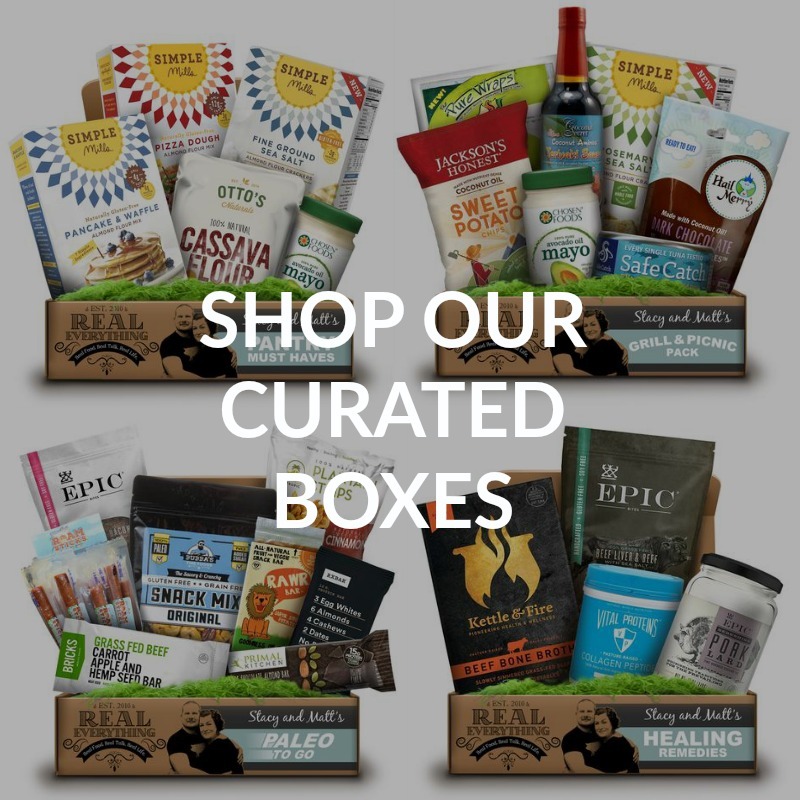 But it’s not only about recipes, Paleo To Go offers our recommendations on when and how to incorporate paleo-friendly convenience foods – including the companies we specifically use and recommend. 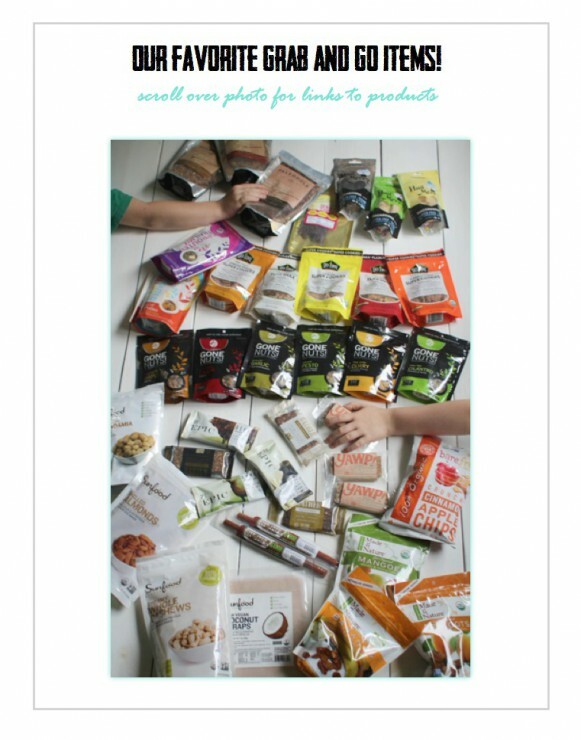 Best of all, Paleo To Go, has put together over 40 meal and snack ideas! These ideas include breakfast, lunch and snacks all perfect for taking on-the-go! Last but not least, to ensure you can create these creative meal combinations yourself we’ve created an entire section with several guides and lists that include paleo-friendly foods by the ways you can think about packing your lunches (protein, fat, veggies & fruit). We’ve also included our take on My Lunchbox (a paleo-friendly lunch spin on the Government’s My Plate) to help you map out what to include in your lunch box. With a list of common and our favorite paleo foods as well as printables for your fridge to create your own favorite lists, lunch never has to be a struggle again! This is digital answer to the question we get asked digitally nearly every day. And as a result, it means you get a family-friendly resource to use immediately. And, as new products emerge, we write new recipes we fall in love with and better ideas come to us you’ll have the advantage of lifetime updates! You will ALWAYS have the most up-to-date information and recommendations. 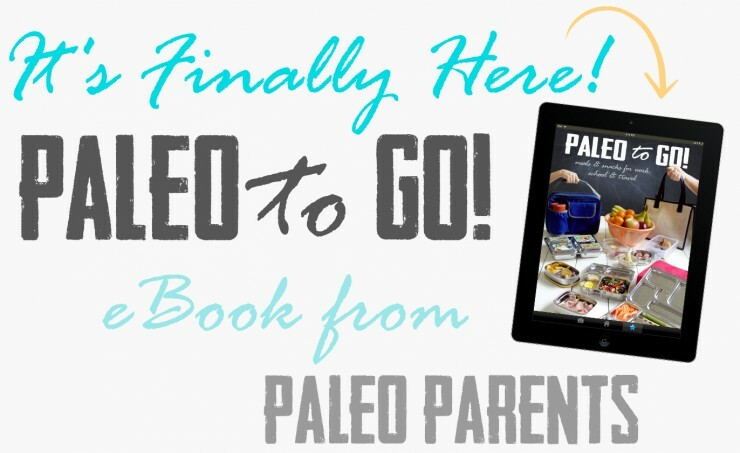 Need help putting the Paleo To Go PDF on your tablet, kindle or other device? We’ve got instructions HERE. Paleo To Go is YOURS for $16.95. 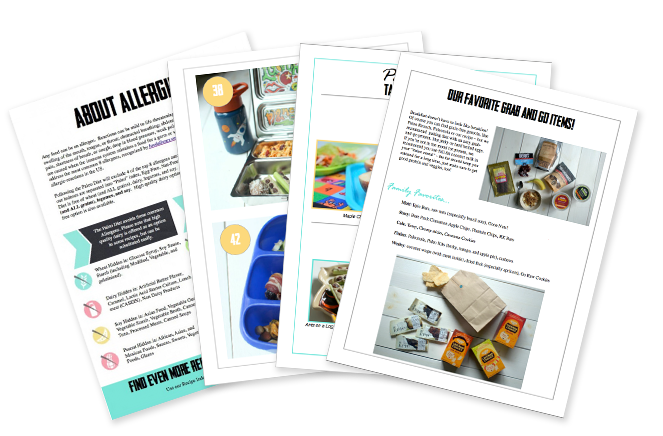 That’s over 85 pages of interactive awesomesauce, including over 50 recipes and 40 Meal & Snack Ideas to help your family succeed. But we know some of you don’t like eBooks or will want something in hand. GREAT NEWS! We’ve formatted Paleo To Go to be sized 8.5×11 so you can print it easily! 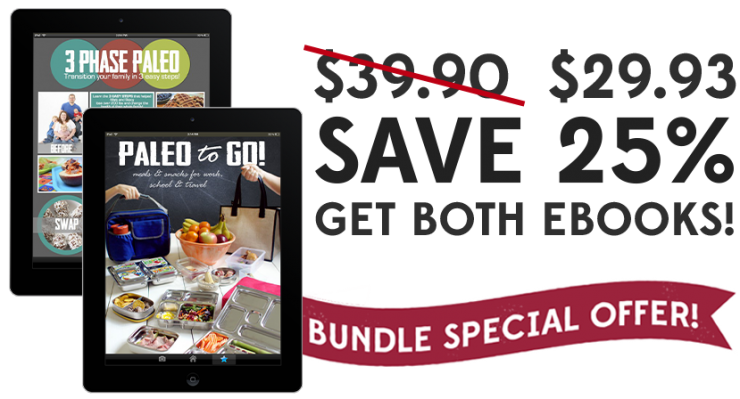 WE ARE ALSO OFFERING A BUNDLE OF OUR 3 PHASE PALEO eBOOK with PALEO TO GO – BUY BOTH FOR 25% OFF AT $29.93 TOTAL. CLICK HERE TO ORDER THE BUNDLE. Welcome to our small corner of the internet! A working mom, stay at home dad, and 3 sons is the legit chaos of our real life. Science nerds at heart, we don't have time or patience for bullsh*t, but we do have a hunger for health, inside & out, and a boundless thirst for knowledge on everything from body love to comic books. 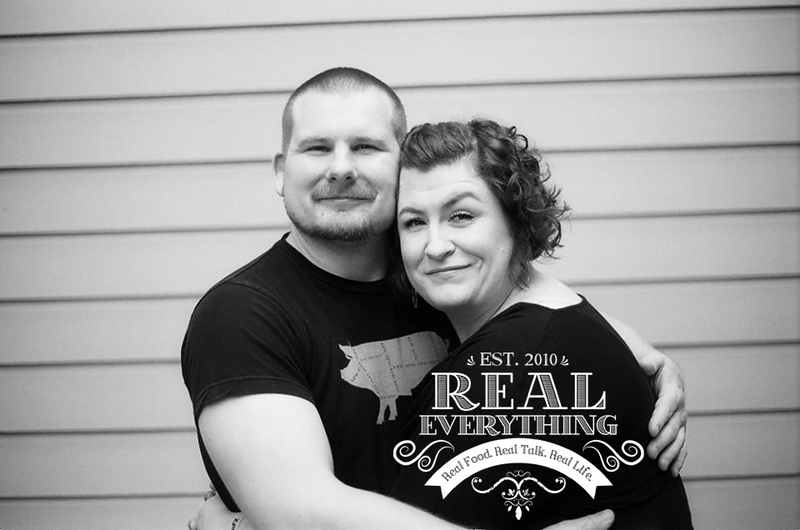 Get recipes, podcasts & blogs posts in our weekly Real Everything newsletter and get our eBook, Quick Start to Paleo FREE when you join! Join our non-toxic living list for info & deals delivered to your inbox and we'll send you our Healthy Inside & Out eBook FREE, which includes a coupon for a gift from us with your first purchase! 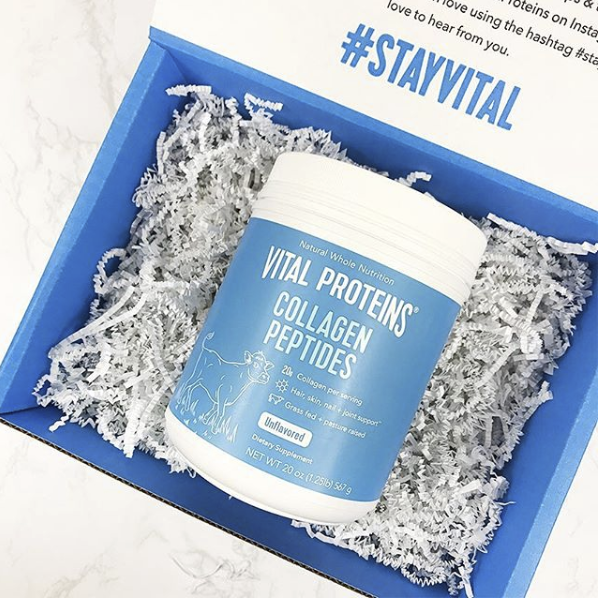 Stacy adds Vital Proteins Collagen Peptides to her coffee & tea daily to help regulate autoimmune diseases. 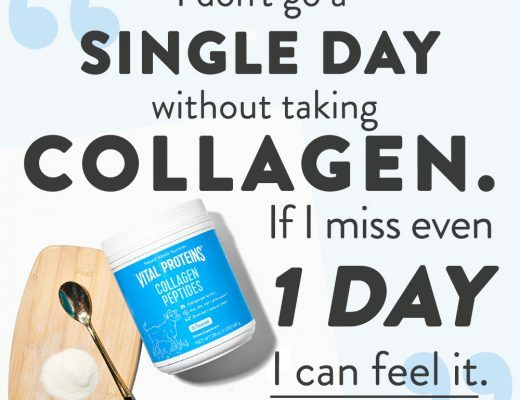 Collagen aids digestion, improves hair, skin, nail and gut health. Get a subscription to save money and never run out! Safer skincare and cleaner cosmetics are an essential part of living a healthy life – inside & out. Read our FAQ here. 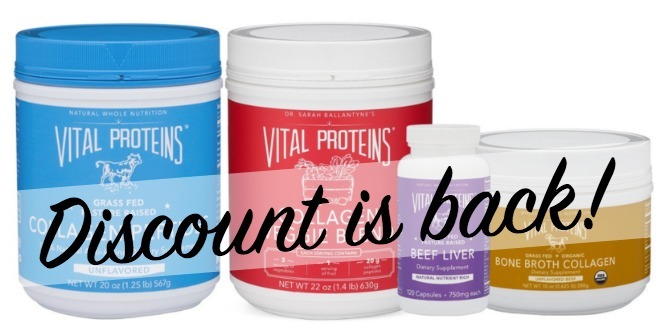 I’m so excited Vital Proteins Beef Liver Capsules are back in stock because these are one supplement I take DAILY. 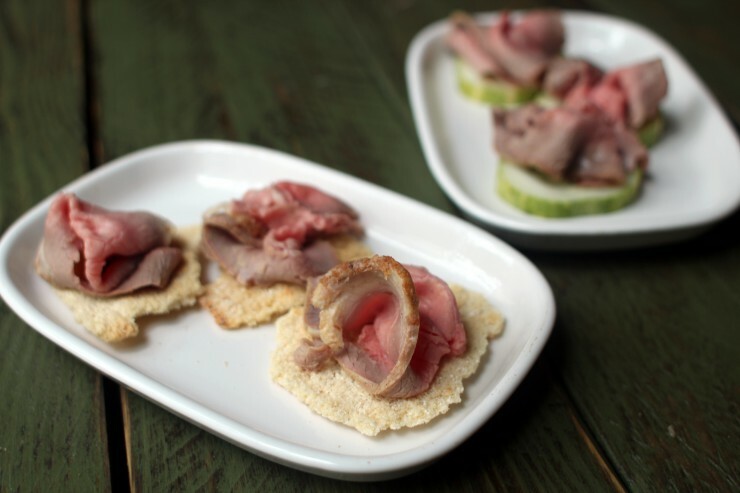 Beef liver is so incredibly nutrient-dense and these are an easy and tasteless way to enjoy it! I LOVE TEA. 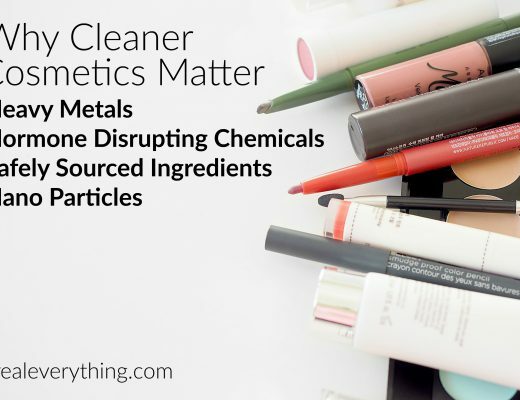 But most non-organic brands have concentrated toxins and are packaged in BPA-lined bags. 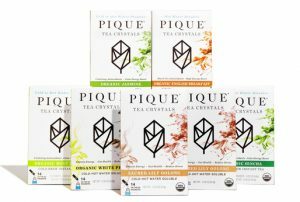 If looking for a high quality, easy option: enter Pique. 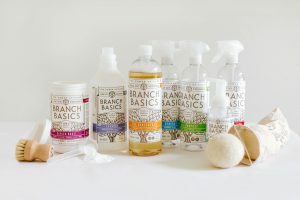 They are the easiest to travel with and even the kids make themselves teas with their easy-dissolve crystals! 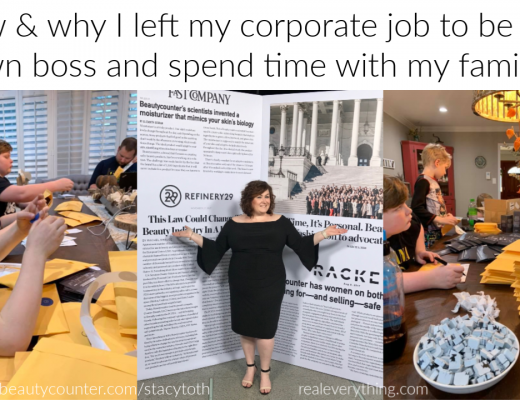 How & why I left my corporate job to be my own boss with Beautycounter and spend time with my family! 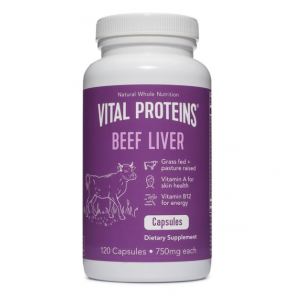 TPV Podcast, Episode 306: Can Collagen Affect My Digestion for Good or Ill? Make sure to follow InstaStories and Highlights for more fun than you'll find here! 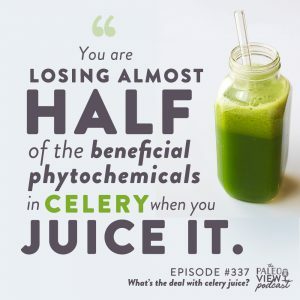 © Paleo Parents, LLC | All Rights Reserved. 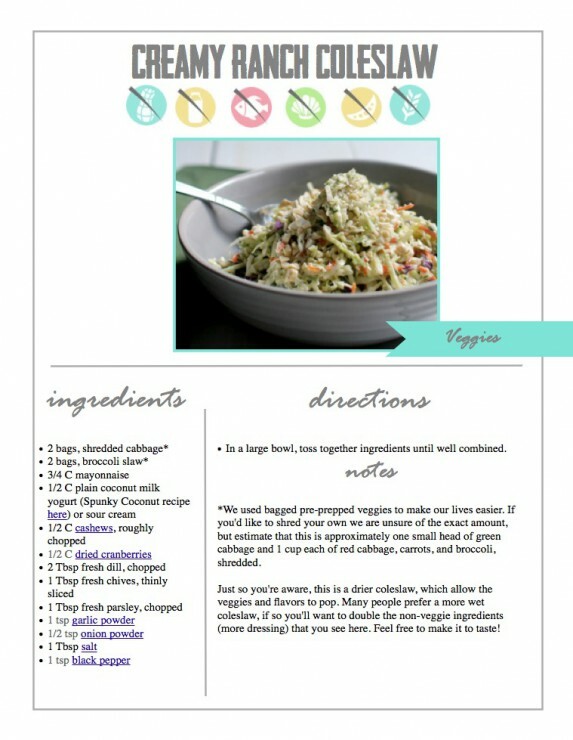 | Legal Disclaimer: All content, photos, and recipes may not be reprinted without permission. | This site uses affiliate links.